Glitter sequin shiny wooden incense holder ash catcher. 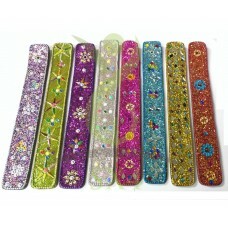 Decorated with shiny broken glass, thread and sequin, attractive coloured incense holder inlay. Available in 8 different colour variant. Wooden incense holder ash catcher inlay. 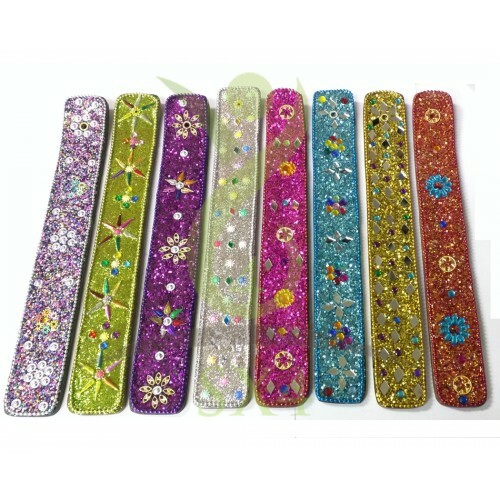 Please let us know incense holder colour you would like to order. Features Novelty shape wooden incense holder ash catcher burner.